at the 2009 Polish Heritage Festival! 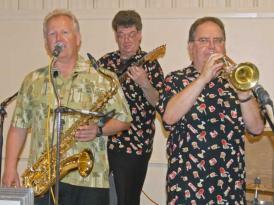 In 2009 the Polish Heritage Festival was proud to present the John Gora Band! at the 2008 Polish Heritage Festival! 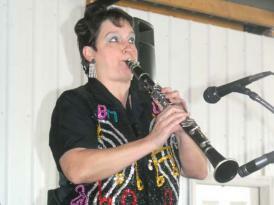 In 2008 the Polish Heritage Festival was proud to present the Polish Princess... Patty Waszak! 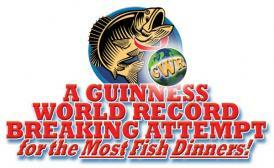 In 2008 the Polish Heritage Festival, Krolick's Bar-B-Que, many volunteers, and the great people of the Buffalo area broke the Guinness World Record for the most fish dinners served at an event! Served were 2,552 fish fry dinners! 2008 Festival Exclusive... The Great Polish-American Czarnina Duck Race came to the Polish Heritage Festival! 5 races were held on Saturday & Sunday! Members of the audiences were picked to release the ducks and the winner of each race received a bowl of Czarnina, a Polish soup! This family friendly event was sponsored by Potts Deli & Grille. Karen Gold's award-winning Placek recipe (Polish Coffee Cake) originated with her great-grandmother back in Poland in the late 1800s. Sugar and butter have been replaced with Splenda and margarine. Other than that, it is as she perfected it over 100 years ago. This delicious cake was featured on The Martha Stewart Show, December 21, 2007. Watch the youTube video or the one at MarthaStewart.com. Jack Gold, Karen's husband, had this to say. "I'm still really just getting started on our site but the hub of all this activity is really the festival. Had it not been for your event, none of this would have ever taken place." Peter Cetera Headlines at the 2007 Polish Heritage Festival! International Battle of the Polka Bands! 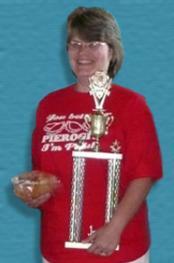 In 2007 the Polish Heritage Festival hosted the International Battle of the Polka Bands! 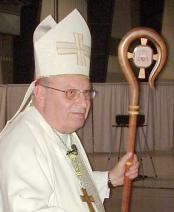 In 2006 Most Reverend Edward U. Kmiec, Bishop of the Roman Catholic Diocese of Buffalo, was the celebrant of the Festival Vigil Mass. The magnificent voices of the Chopin Singing Society filled the building! 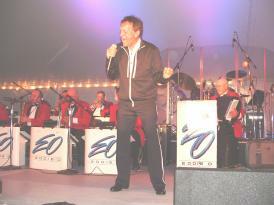 Bobby Vinton Headlines at the 2005 Polish Heritage Festival! In 2005 the Polish Heritage Festival was proud to present the Polish Prince in concert! A number of printable forms are available on this site. They require the use of the free Adobe Acrobat Reader, Version 4.0 or later, which can be downloaded here. The Polish Heritage Festival, Inc., is dedicated to furthering Polish culture and heritage. © 2011 Polish Heritage Festival, Inc., is a non-profit 501(c)(3) organization. All images (graphics and photographs) are the sole property of the Polish Heritage Festival, Inc.